Campus Connect is Volunteer State Community College's New Student Orientation program. Campus Connect: New Student Orientation is mandatory for all new first-time freshmen. For students who have been accepted into a specific certificate program, please follow the requirements outlined by that specific program office. Any current or previous Dual Enrolled student should connect with the Office of Admissions to ensure their application has been updated for admission as a new first-time freshmen in order to be invited to attend Campus Connect. 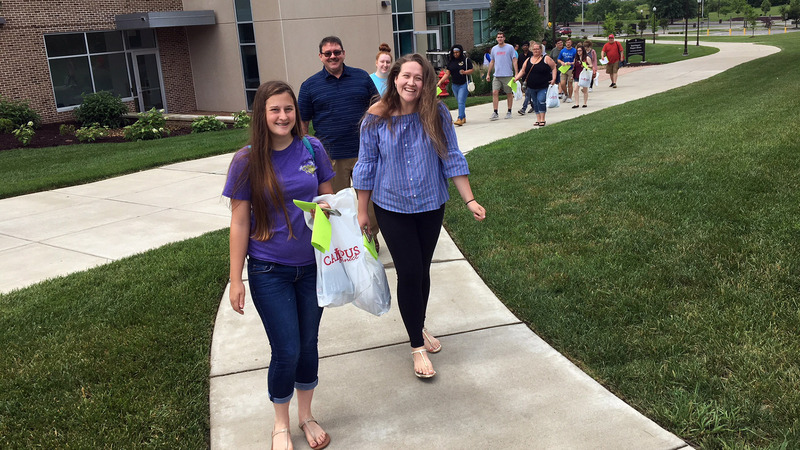 Campus Connect is delivered to new students who are entering for the fall and spring semesters. Students attending Campus Connect will meet with their academic advisors, register for classes, and learn about the college. This is mandatory and lasts an entire day. Students who cannot commit to the entire day will not be permitted to register for classes. Parents and/or Support Persons are not required to attend. In order to attend Campus Connect: New Student Orientation at Volunteer State Community College, all new first time freshmen will receive an emailed invitation to their Vol State Student Email account from the Office of Student Engagement and Success. Students who have questions concerning Campus Connect can email us at college.success@volstate.edu.